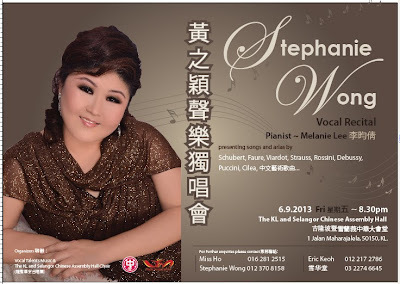 A wonderful night of French, German, Italian and Chinese art songs by a very talented lyrical soprano, Stephanie Wong. I was pretty tired but I enjoyed myself. I only wished I was familiar with the songs.